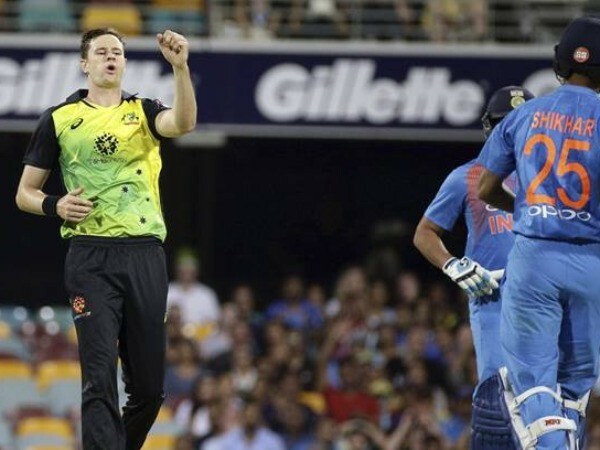 Australia have been fined for maintaining a slow over-rate in the first T20 International against India in Brisbane. Jeff Crowe of the ICC Elite Panel of Match Referees imposed the fine after Aaron Finch’s side was ruled to be one over short of its target when time allowances were taken into consideration. Australia won the opening T20 by four runs on Wednesday while the second one on Friday was called off due to rain. “In accordance with Article 2.5.1 of the ICC Code of Conduct for Players and Players Support Personnel, which relates to minor over-rate offences, players are fined 10 per cent of their match fees for every over their side fails to bowl in the allotted time, with the captain fined double that amount,” said the ICC in a statement. Finch has been fined 20 per cent of his match fee, while his players have received 10 per cent fines. If Australia commit another minor over-rate breach in a T20I within 12 months of this offence with Finch as captain, it will be deemed a second offence by Finch and he will face a suspension. “Finch pleaded guilty to the offence after the end of the match and accepted the proposed sanction, so there was no need for a formal hearing,” the statement added. The charge was levelled by on field umpires Simon Fry and Paul Wilson, third umpire Gerard Abood and fourth umpire Shawn Craig.